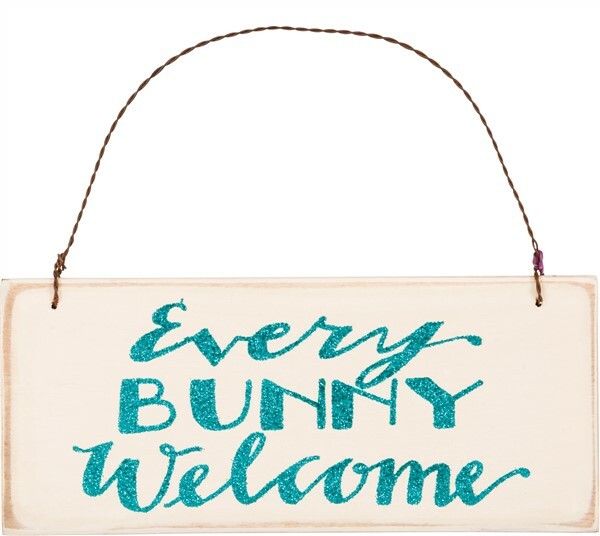 Perfect for your Easter decorating, a welcome sign! It is made of wood, glitter and wire and is approx 7" x 3". The pretty cream and turquoise colors compliment most spring decor.